Home / external hdd / hard drive / hdd / my passport / western digital / western digital my passport pro / WD unveils the new design for the My Book and My Passport Hard Drives. WD unveils the new design for the My Book and My Passport Hard Drives. 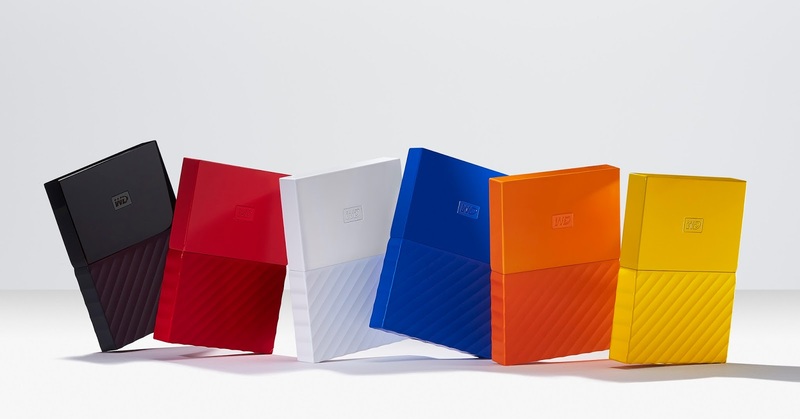 Western Digital introduced modern and innovative redesigns of its My Passport®, My Passport for Mac, and My Book® hard drive lines, which have been highly recognized leading sellers for more than a decade. In partnership with Fuse project, an award-winning industrial design and branding firm, the reimagined products were built with the customer in mind. Developed to help make a connection between the device and user, the new drives also include password protection and hardware encryption so customers will love their hard drive as much as they cherish the content stored on it. As part of the reimagined design, the My Passport drives will come in 6 vivid colors (Black, Yellow, Red, White, Orange and Blue) while still providing reliable portable storage that perfectly complements an on-the-go lifestyle. The My Passport for Mac drive is available in a stylish Black color. The trusted desktop storage device, My Book, combines personal style with a massive amount of storage space, up to 8 TB, so users can keep their photos, videos, music, and documents. Each storage device comes with an automatic backup solution for a seamless, user-friendly process, as well as password protection to keep your precious data safe. My Passport and My Passport for Mac portable hard drives has a 2-year limited warranty and are available nationwide. My Passport drives SRP at ₱4,190.00 and the My Passport for Mac drive at ₱4,190.00 SRP, while the My Book desktop hard drives is available at ₱6,850.00 SRP.